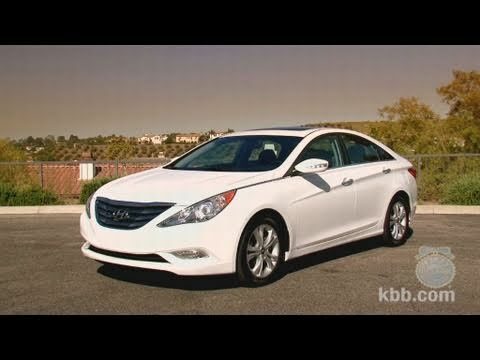 By most relevant measures, the 2011 Hyundai Sonata is among the best mid-size sedans you can buy. You won't find a more compelling combination of style, value and quality in the category. 2011 Hyundai Sonata: an easy car to own and maintain. It just keeps ticking. There have been no major problems, just a few recalls. It is performance and reliability are awesome. It only needs routine maintenance so far. It is reasonably comfortable. The seats are good, not excellent in terms of comfort. We have a basic model: no back up camera, nice radio with CD. There is Bluetooth but we do not use it. As a short person, I like that it is close to the ground. The kids feel that the air-conditioning does not totally reach the back unless we cool it down in advance. Although three school-age kids can fit in the back, it truly only fits two infant/toddler seats. It has the latch car seat installation system. There is cruise control. There are nice lights with the doors, and the safety features (child locks, interior/exterior locks, etc. ) Are good. New engine free of charge. Although my car is aging it has been a pleasure to drive. It is very spacious inside and I like the body frame. My car has had many recalls more than any other car I have ever owned. However Hyundai has really stepped up to the plate to ensure they keep the people on the road as safe as possible, and to ensure they stay one of the top known reputable companies. My engine seized at 150. 000 miles. I had just paid my car off and was devastated to hear it would cost about $5,000 to fix! To my surprise Hyundai was recalling certain Sonata vehicles with vin numbers from Alabama. So they provided a rental car for 3 weeks and replaced my engine free of charge. My car was over the 120,000 miles so they could've used that as leverage. Thanks and I would buy another Sonata! Brand new engine at 100,000 miles, but was the hassle worth it? I have had way too many unexpected issues with this car. First, the starter had to be replaced after 1 year, then come to find out there was a factory recall on the starter. Then maybe 2 years later, the engine failed! Again, this was a highlighted factory recall along with 13 other recalls all on a 2011 Hyundai Sonata. Hyundai was great working with me through these recalls, however, it took over 3 months for the engine to come in, then another few weeks for them to install it! My car sat outside in the dead of winter for over 3 months. Then to get the car back finally, and now there is rust on the brakes because it was sitting for so long and Hyundai claimed there was nothing they could do. HYUNDAI-KIA WILL NOTIFY OWNERS AND DEALERS WILL REPAIR THE VEHICLES BY REPLACING LATCHES AFFECTED BY THIS RECALL CAMPAIGN FREE OF CHARGE. THE SAFETY RECALL IS EXPECTED TO BEGIN DURING MARCH 2010. OWNERS MAY CONTACT HYUNDAI CUSTOMER ASSISTANCE CENTER AT 1-800-633-5151. Hyundai will notify owners, and dealers will inspect the vehicles and replace the engine assembly, as necessary, free of charge. Additionally, Hyundai Motor America will increase the warranty for the engine sub-assembly (short block) to 10 years/120,000 miles for both original and subsequent owners of 2011 and 2012 Sonatas manufactured at Hyundai Motor Manufacturing Alabama equipped with 2.0 liter and 2.4 liter Gasoline Direct injection engines. An interim notification will be mailed by November 2, 2015. A second notification will be mailed when parts are available. Owners may contact Hyundai customer service at 1-855-671-3059 or by visiting www.HyundaiUSA.com/Campaign132. Hyundai's number for this recall is 132. CERTAIN MODEL YEAR HYUNDAI SONATA HYBRID VEHICLES PRODUCED BEGINNING ON DECEMBER 2, 2010, AND SHIPPED TO DEALERS THROUGH MARCH 7, 2012, THAT ARE EQUIPPED WITH A CENTER REAR SEAT BELT INCORPORATING A RELEASE MECHANISM THAT DETACHES BOTH THE LAP AND SHOULDER PORTION AT THE LOWER ANCHORAGE POINT, FAIL TO CONFORM TO FEDERAL MOTOR VEHICLE SAFETY STANDARD NO. 208, "OCCUPANT CRASH PROTECTION." DEALERS WERE NOTIFIED OF THE NONCOMPLAINCE AND A STOP SALE WAS ISSUED ON MARCH 8, 2012. Hyundai will notify owners, and dealers will replace the front coil springs, free of charge. The recall is expected to begin November 30, 2015. Owners may contact Hyundai customer service at 1-855-671-3059. Hyundai's number for this recall is 133. Note: Vehicles that were previously registered in salt belt states but are currently registered elsewhere are eligible to be inspected and repaired. charge. The recall is expected to begin on January 11, 2016. Owners may contact Hyundai customer service at 1-855-671-3059. Hyundai's number for this recall is 136. DEALERS WILL INSPECT THE STEERING COLUMN INTERMEDIATE SHAFT UNIVERSAL JOINT CONNECTIONS FOR PROPER ASSEMBLY AND TORQUE. IN ADDITION DEALERS WILL UPDATE THE POWER STEERING SOFTWARE FREE OF CHARGE. THE SAFETY RECALL IS EXPECTED TO BEGIN DURING OCTOBER 2010. OWNERS MAY CONTACT HYUNDAI CUSTOMER SERVICE CENTER AT 787-999-3333.